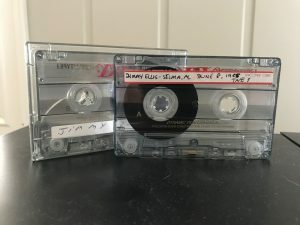 Jimmy Ellis did rarely perform in his hometown, Selma, AL – but this is a cassette recording from one of the times he did! It was a benefit show for Meadowview School and Jimmy’s mum and dad were also honored from stage for their effort to the society. Fair sound but really great performances and some really RARE songs! Two cassette tapes!. 1. Talk on stage: Jimmy’s manager at the time Wayne Hodge get presented the keys to the city of Selma by the Mayer. Its a pity these concerts were not released on cd.